What Are the Differences Between the DJI Zenmuse X5S and X7 Cameras and Which One Should You Buy? Less than a year after the release of the X5S camera, DJI just introduced the new Zenmuse X7 with superlative specifications. The Chinese drone manufacturer is innovating so rapidly that it may be hard to keep track of all the new features associated with its ever-expanding product range. Let’s check what the main differences between the two cameras are and which one you should buy. But first, let’s eliminate a source of confusion. The X5R was the previous camera only compatible with the Inspire 1 drone. On the other hand, the X5S and newly announced X7 camera are both compatible with the Inspire 2 but not backward compatible with the Inspire 1. The main difference is related to the sensor size. The Zenmuse X5S uses a Micro Four Third (MFT) sensor while the X7 embarks an APS-C sensor. Actually, the X7 uses the Super 35mm area of the APS-C sensor (23.5×12.5 mm) in video mode and the full sensor size (23.5×15.7 mm) in stills mode. With this design, DJI aligns its offers to the standard of the movie industry. The Super 35mm format is adopted by most professional cameras such as the Canon C200 or Sony FS7 or Panasonic EVA1. On a physical standpoint, the X7 sensor is about 50 percent larger than the one of the X5S. More sensor surface means better dynamic range and low light performance. DJI announced that the X7 reaches 14 stops of dynamic range against 12.8 stops for the X5S. High ISO images should also display less noise. 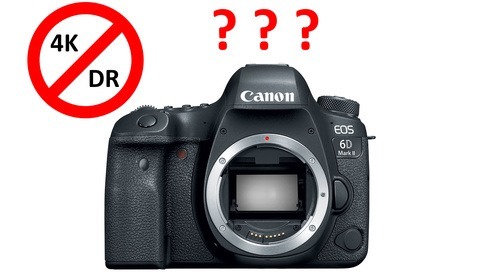 In terms of photography, the adoption of the APS-C standard similar to the Canon 7D Mark II, Sony a6500, or Nikon D500 means that the pictures will be wider thanks to the 3:2 ratio instead of the squarish 4:3 images produced by a Micro Four-Thirds camera. Finally, the APS-C sensor helps to give a “better” shallow depth of field and Bokeh. 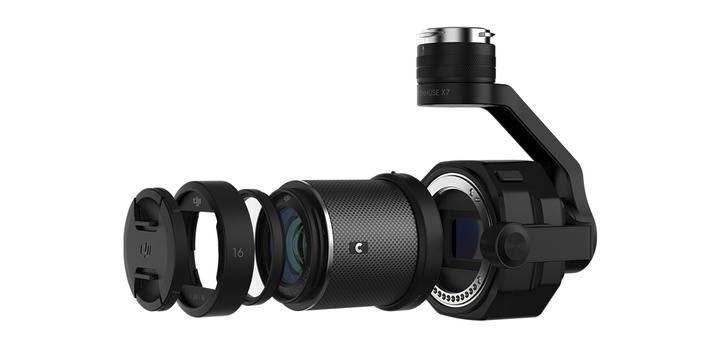 This point might not be critical in aerial imaging where the subject is far away and the focus point is near infinity, but it could become important if the Zenmuse X7 is adapted on a gimbal such as the Osmo. The DJI Zenmuse X7 camera with S35 sensor and new DL mount carbon fiber lens. The X7 camera comes with 24 megapixels against 20.8 megapixels for the X5S. DJI wisely decided to maintain a low pixel density in order to maximize the dynamic range and low light performance. This resolution on a 3:2 sensor is the minimum required to deliver a true 6K video mode. With its 20.8-megapixel MFT sensor, the X5 camera can “only” film in 5.2K resolution because of the limited width resolution (5280 pixels wide). On the other side, the X7 can record in 6K resolution with an aspect ratio of 17:1 (6016×3200) or 16:9 (5760×3240) up to 30 frames per seconds. Unfortunately, the 6K mode is only available in the 12-bits CinemaDNG format. In this mode, the amount of data recorded each second is gigantic (4.4 Gbps). A small 120 GB SSD will be filled in a few minutes at this rate. But the X5S faces the same issue when using its maximum resolution of 5.2K. The operator must switch to CinemaDNG with the same data constraint (4.2 Gbps). That’s something to keep in mind if you like to shoot in high resolution with a regular aspect ratio (16:9). You will have to purchase the $1,000 CinemaDNG license and a lot of hard drives. Of course, both cameras propose the 5.2K resolution in ProRes but this Codec is limited to the 2.44:1 aspect ratio (5280×2160). This constraint probably comes from the hardware limitation associated with down-sampling and encoding these high-resolution videos. In ProRes the two cameras can record in 10-bits 4444 XQ in 4K/29.9p and 10-bits 422 HQ in 5.2K/29.9p. The lower frame rates are also available. As for H.264 and H.265, they offer similar capabilities with a maximum resolution and frame rate of 4k/59.94p in H.264 and 4K/30p in H.265. The bitrate in H.264 and H.265 codec is 100 Mbps. On a drone, every gram matters because weight directly affects the flight time. Surprisingly, the new X7 is slightly lighter than the X5S (449 grams versus 461 grams). But the real difference comes from the lenses. 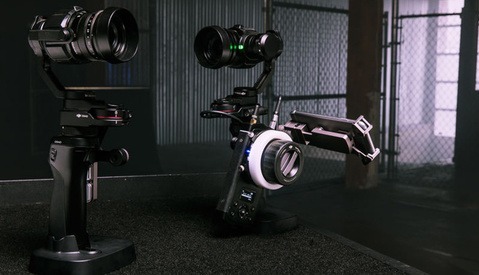 DJI specially designed a native optical system for the X7 with a new lens mount, the DL, with an ultra-short flange focal distance in order to obtain a compact system with the lens attached as close as possible to the sensor, thus allowing for optimal weight distribution on the gimbal. Essentially, every part around the optic is reduced to the minimum (no ring, switch or window) and the lens casing is made out of carbon fiber. Despite being designed for APS-C sensor, these DL lenses are almost as light as the MFT optics. The four prime lenses introduced by DJI only weight 180 grams. All of them come with a maximum aperture of f/2.8 and cover the common focal range from 24mm, 36mm, 53mm, to 75mm in 35mm equivalent. DJI is a relatively new player in the optic industry and future reviews will be needed to rate these lenses. At the moment, the only MFT lenses produced by DJI is the DJI MFT 15mm/1.7 which seems to be rebranded version of the Panasonic Leica Summilux 15mm f/1.7. We will soon know if DJI put Hasselblad know-how to good use with its DL system. Overall there is very little weight difference between the X5S and the new X7. Mounted with a lens, the X7 is only 50 grams (1.8 ounces) heavier than the X5S. The flight time will not be significantly impacted. Price wise, these optics are not cheap. You will need to spend between $1,200 and $1,300 for each piece but DJI proposes the four lenses set for $4,300. The X7 camera by itself costs $2,700 while the previous X5S camera retails at $1,400. 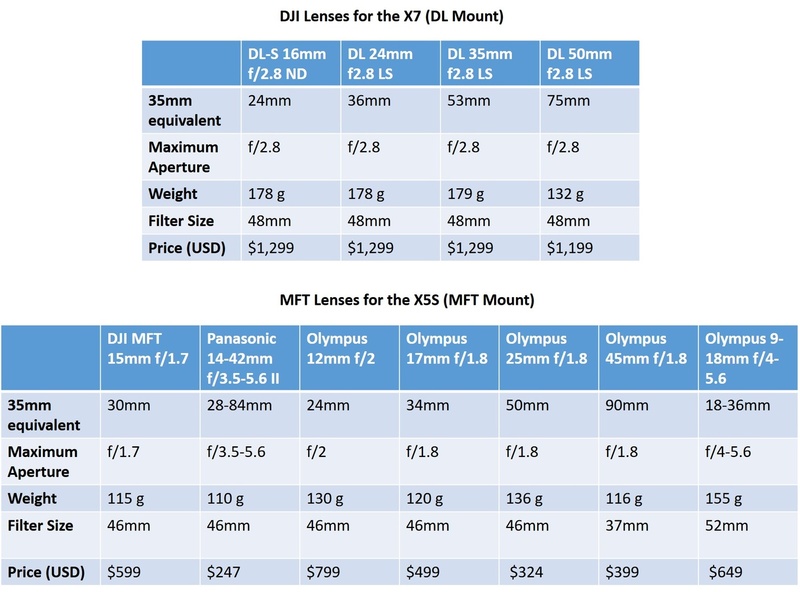 However, the lenses are more affordable on the X5S (see table above). Here is a list of everything you need to buy in order to start filming with the Inspire 2 (drone not included). For the full set, the price difference between the X5S and the X7 system is about $1,800-$2,300 depending on the lens selection but the lenses are much cheaper on the X5S camera. Building a lens collection on the X7 is pricier. For instance, the 50mm lenses (35mm equivalent) on the X5S cost $324 against $1,300 for the X7. What If You Have the X5S? Should You Upgrade to the X7? The good news is that the ProRes and CinemaDNG licenses are tied to the Inspire 2 drone so that the upgrade to the X7 does not require to purchase the license another time. The DJI SSD is also cross-compatible. But personally, if I had the X5S I would stick to it unless you need the extra gain in resolution, dynamic range, and ISO. Plus, keep in mind that the previous X5R camera introduced on the Inspire 1 was not compatible with the Inspire 2. At this point, no one knows if the X7 will be compatible with a future Inspire 3 drone. In my humble opinion, the X7 is justified for a first-time buyer but the X5S is already a great camera with amazing capabilities. The moderate specification gain and the question of future compatibility would prevent me from buying the X7 if I already owned the X5S. Let’s be honest. For the price, both systems are very good and offer more than many professional cameras on the market. I had to look hard to put some items in the Con category. APS-C sensor with Super 35mm coverage in video mode. Better dynamic range (14 stops) and ISO performance. True 6K resolution with regular aspect ratio (17:9 and 16:9) thanks to the 24-megapixel sensor. 12 bits CinemaDNG and 10 bits ProRes video recording (additional license required). More common 3:2 aspect ratio in still mode, similar to most DSLR. Negligible weight difference (50 grams) compared to the X5S. The flight time will not be significantly impacted. 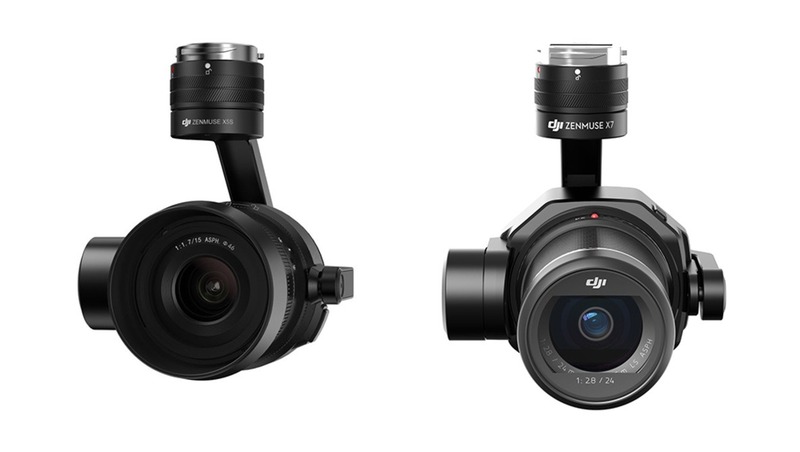 New DJI DL mount lenses specifically designed for aerial imaging. The ready to film system is about $2,000 more expensive than the X5S. DJI DL lenses are expensive with a base price of $1,200 to $1,300. 6K resolution only available in data-hungry CinemaDNG format (4.4 Gbps). Need to purchase the additional $1,000 CinemaDNG license to unlock the 6K video mode. No high-resolution mode (5.2K and 6K) available in ProRes with regular aspect ratio such as 17:9 and 16:9. The ready to film system is about $2,000 cheaper than the X7. Micro Four-Thirds lenses can be used with other cameras (Panasonic and Olympus). MFT lenses are much cheaper than the new DJI DL lenses. 12-bits CinemaDNG and 10 bits ProRes video recording (additional license required). Concerns about the future of the MFT mount in the DJI line up. 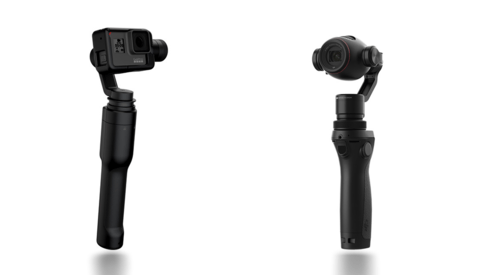 Is DJI going to maintain its MFT offer with the new Osmo raw and future drones? The X5S MFT sensor is 50 percent smaller than the X7 APS-C sensor. Lower dynamic range and high ISO performance. Less common 4:3 aspect ratio in still mode. “Only” 5.2K video mode. No 6K on the X5S. “Only” 12.8 stops of dynamic range versus 14 stops on the X7. 5.2K with regular aspect ratio (16:9) only available in data-hungry CinemaDNG format (4.2 Gbps). Need to purchase the additional $1,000 CinemaDNG license to unlock this mode. No 5.2K video mode available in ProRes with regular aspect ratio such as 17:9 and 16:9 (only in 2.44:1). Nice article but I disagree with the idea of staying with the X5S if you own one. If you already spent 15k+ (thats what a full production ready Inspire 2 with a X5S camera, really costs) you probably got customers who will film with Arri Mini, Amira, Alexa, RED or similar on the ground. The current X5S image is already nice to integrate in such productions. Especially since we film f5.6 to f8 most of the times out of the sky, on daylight jobs, anyway. But the s35 sensor will not only allow even more dynamic range and less noise, it will also produce a image that matches the look of the ground cameras even better. Balancing will also be easier as the new lenses are build to be simple changes without adjustments. On top of that you'll also gain image quality on still images. Still not A7Rii but every improvement counts for the mid level paid photo jobs. Currently there are still a few Inspire 2 owners who just bought the X4S camera. So selling the X5S won't be a problem and will help finance the X7 also. Buying a X7 will also help to keep the value of your I2 still up when you want to sell it when the I3 or other drone arrives. So for anyone seriously working with a Inspire 2, this should really be a no brainer as customers in that price range will also request it anyway. So buying it will also help to safe future jobs from your current customers. Might even bring new ones in. Not going forward with the current development is the same as going backwards and not being up with the game. Yes these are tools, yes the X5S is already a great camera but competition is tight. So why not take any advantage that sets you slightly apart from the rest or at least being up with them? I ordered on day one with the full lens set. Will test and compare it to our X5S and see how our customers could profit from it in production. After that I'll decide if I keep the X5S for certain situations or if I will sell it right away. Hi Mathias. Yes, it totally makes sense especially if you can integrate the acquisition price in your next job and put it in your expense (thus, less tax). As you said, there is also no need for the usual MFT balancing ring. As for the matching look of the S35 I'm not sure this is such a huge factor when you film from the air with everything in focus but again, that's very subjective. The one thing preventing me from swapping my X5s for the X7 is the lack of a 90mm equivalent lens (or greater). While 75mm isn't bad, the ability to make distant mountains and other objects appear closer allows me to get shots that are otherwise unachievable. I'd hate to give that up, although more dynamic range would be nice.